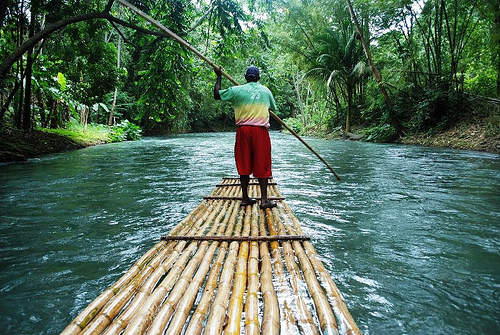 Rafting on the Martha Brae is Jamaica's premier rafting attraction. A skilled raft captain on a 30-foot. bamboo raft takes visitors on a 3 mile romantic adventure into the scenic and tranquil beauty of the island. Come and experience the adventure or bask in tranquillity and romance. 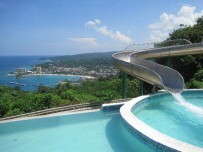 Its truly a unique Jamaican Experience. The sound of the rivers flowing, along with the wood peckers pecking away and the various exotic birds you will come across, will make this experience unforgettable.